Explore the paint program and its evaluation committee's work by clicking various elements in the image below. Hi, I’m Abby Boudouris of OR DEQ and I’m responsible for managing the Agency’s oversight of the Oregon Paint Stewardship Pilot Program. I’m pleased that the hard work of paint manufacturers, local and state government, and other stakeholders has resulted in this new system, which is expected to result in the reuse, recycling, energy recovery or safe disposal of an estimated 800 million gallons of waste paint annually and to provide the Oregon government with a service valued at more than $6 million. My job is to review and approve stewardship plans and reports and provide an up to date listings of compliant manufacturers and their paints products. These documents are being made available to the public on the DEQ website. I’ll also be providing an update to the Oregon legislature on the outcomes of the pilot program and recommendations on any changes that could be made to the program to help achieve its goals. The results of the program evaluation will be important to help DEQ make its report. The Oregon Department of Environmental Quality (DEQ) is a regulatory agency whose job is to protect the quality of Oregon’s environment and as such has been charged by the legislature to provide an oversight role in the implementation of the pilot program. DEQ hosts many document about the program, including PaintCare’s approved program plan. Another important role for DEQ has been coordinating Oregon stakeholder meetings. Presentations from these discussions provide details about the program implementation and are also available on the DEQ website. The Oregon legislation requires the manufacturer’s paint stewardship organization to compensate the Oregon Department of Environmental Quality $10,000 upon program plan submission, and $10,000 annually thereafter for program approval, oversight, and enforcement activities. 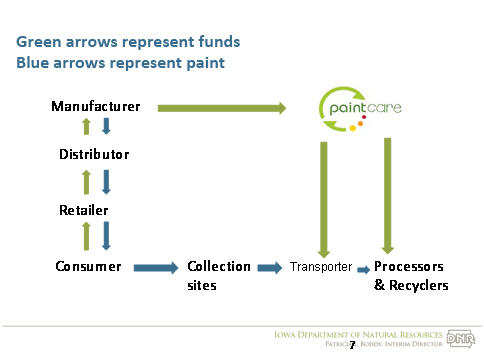 The green arrow traveling from consumer to retailer to producers and then out of the paint market to PaintCare represents the recovery fee applied to paint sales in order to cover the cost of the program. This financing system allows funding for the program to be apportioned amongst the manufacturers and retailers and is based on actual sales of new paint. 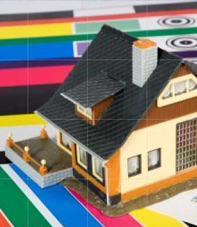 The assessment covers not only newly purchased products — but also the paint people already have in their basements and garages. 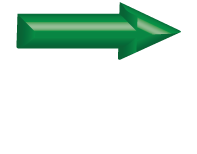 The green arrow traveling from consumer to retailer to producers and then out of the paint market to PaintCare represents the recovery fee applied to paint sales in order to cover the cost of the program. This financing system allows funding for the program to be apportioned amongst the manufacturers and retailers and is based on actual sales of new paint. The assessment covers not only newly purchased products — but also the paint people already have in their basements and garages. The Oregon legislation requires the paint stewardship organization to provide the consumer with information on available end-of-product-life management options offered. It also requires that they provide educational materials describing the collection opportunities for waste paint and promoting waste prevention, reuse, and recycling. They also need to advise consumers about the recovery fee added to the purchase price of all architectural paint sold in the state. Shown are examples of some of the materials developed. This section will discuss the flow of information from the retailers to the consumers. This box illustrates the participants in the Paint Market. Producers create virgin paint products at their facilities and distribute these products to retailers for sale to consumers. Hi I’m Alison Keane from the American Coatings Association. The Paint Management System begins when leftover paint is collected from consumers at one of PaintCare’s vendors, which may be a permanent household waste facility, a one-time annual collection event, part of a household’s normal curbside recycling collection or return-to-retail locations. This leftover paint is transported from collection sites to a sort facility to organize the paint by type – whether the paint is latex or oil-based – and quality. Fuller containers with useable paint may be placed on shelves for reuse by other consumers at the collection locations. Latex paint can be consolidated into a new paint product, which is then sold in retail stores. 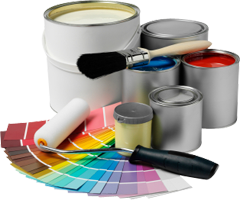 Oil-based paint can be used to product energy, while non-useable latex paint may be used in non-paint products or properly disposed. Click on the blue ovals below for more information about each of these steps. Producers of paint sold in Oregon are obligated under the law to participate in a paint stewardship program. Program participants are required to register and provide a list of paint brands manufactured. Remittance of recovery fee payments on all architectural paint sold in Oregon is a responsibility of the producer, which they collect from retailers. Producers participating in the program are posted on the OR DEQ website here. Retailers of paint sold in Oregon are required to collect the recovery fee from consumers at the time of sale. Retailers pay the producer the fee as part of the invoice for the paint offered for sale. Additionally many of the program’s education materials are distributed at the point of sale of paint. Architectural paint purchased in 5 gallon containers or less by home owners, renters, trade painters, institutions, and businesses is eligible for the paint management system. The U.S. Environmental Protection Agency estimates that approximately 10% of consumer purchased paint becomes a waste product. This area will describe (e.g. text, audio, video, graphs, tables) the flow of paint from the Producers to the Retailers. This area will describe (e.g. 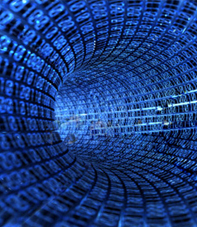 text, audio, video, graphs, tables) the flow of paint from the Retailers to the Consumers. 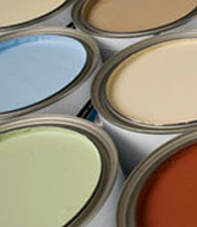 Retailers can voluntarily collect eligible leftover paint products from consumers. The PaintCare program supplies collection bins, and provides transportation, recycling and disposal of the collected paint, training and all supplies to retailers and other collection locations. A few areas in Oregon have existing infrastructure in place where leftover paint is picked up from households as part of normal recycling services. PaintCare will work with state and local government collect events to manage architectural paint collected at these government sponsored household hazardous waste collect events, which are typically offered in areas without permanent collection facilities. Latex paint makes up the largest volume by weight of products collected at hazardous household waste (HHW) facilities. PaintCare will transport paint collected at these facilities and manage it through the state coordinated leftover paint management system. PaintCare has contracted with PSC to transport latex paint from collection sites (except for Portland Metro sites) to PSC’s sorting facility in Washougal, Washington. Sorted useable paint is transported from there to Portland Metro’s recycled paint facility. PSC also transports any collected oil-based paint to facilities for energy recovery or proper disposal at licensed facilities for the management of hazardous waste. PaintCare has contracted Portland Metro to provide transport services between Metro collection sites and the Metro recycled paint facility, where the sorting step to assess the paint also takes place. Non-usable latex paint and surplus paint available when Portland Metro is unable to accept additional paint due to capacity constraints, may be transported to Amazon for use as cement additive or disposed of in a landfill with any additional non-useable waste paint. At certain locations the leftover paint collected from consumers is sorted by quality, with fuller containers of useable paint being placed on display shelving and available to consumers to take and use without cost. This is the preferred use of waste paint from environmental and cost perspectives. 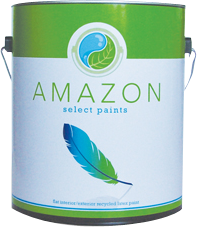 Amazon Environmental transforms non-usable waste paint into a cement additive called Processed Latex Pigment. Several cement companies use it as a raw material in place of shale, clay, limestone, and other materials that would need to be mined in order to manufacture cement. Alkyd or oil-based paint can be blended with fuel for energy recovery. Any latex paint processed at the MetroPaint facility that is not of suitable quality to recycle back into paint is disposed of by biodegradation. This paint is pumped into a tanker truck by a contractor, along with the washwater we use in the recycling process, and hauled to the Columbia Ridge Landfill in Arlington, Oregon. This is a municipal solid waste landfill, one of a handful around the country that has a special Research, Development and Demonstration permit to test the biodegradation approach to solid waste landfilling. In contract to the traditional “dry entombment” model of most solid waste landfills, those trying out a biodegradation approach intentionally circulate liquids into the solid waste, in order to speed up degradation of the waste. At Columbia Ridge the liquids include the landfill’s own leachate, as well as various wastewaters brought in from elsewhere. The liquids are introduced into the landfill though plastic piping that has been installed for the purpose of landfill gas extraction. 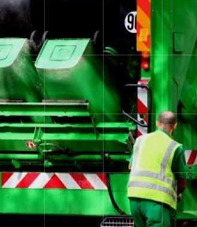 This provides two benefits: 1) because the waste quickly degrades it actually reduces the height of the landfill, allowing more waste to be placed into a given cell, and 2) it produces a high volume of landfill gas quickly, which makes it much more economical to extract the gas and use it for energy production. This area will describe the flow of paint from the consumers into the collections process. 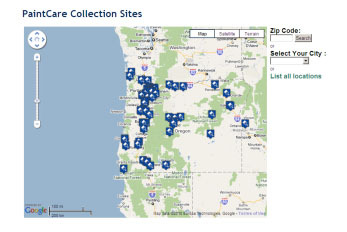 The collection system is required by the legislation to be “convenient and available…in urban and rural areas of the state.” Many areas of Oregon already had infrastructure in place to collect leftover paint and PaintCare worked with municipalities to continue to provide architectural paint collection service. In addition, the program implemented a system of return-to-retail collection sites. These sites were added to the existing infrastructure in order to provide coverage in areas where service did not exist or may not have been convenient. The program may also work with household waste collection events, particularly when a permanent collection site is unavailable in an area. This area will describe (e.g. text, audio, video, graphs, tables) the flow of paint to the Exchange process. This area will describe (e.g. text, audio, video, graphs, tables) the flow of paint to the Reprocessing as Paint process. This area will describe (e.g. text, audio, video, graphs, tables) the flow of paint to the Reprocessing as Non-Paint process. This area will describe (e.g. text, audio, video, graphs, tables) the flow of paint to the Energy Recovery process. This area will describe (e.g. text, audio, video, graphs, tables) the flow of paint to the Disposal process. This area will describe (e.g. text, audio, video, graphs, tables) the flow of paint from the Exchange Process back to the Consumers. This area will describe (e.g. text, audio, video, graphs, tables) the flow of paint from the Reprocessing as Paint process back to the Retailers. How has the program affected used paint reprocessing, paint recycling, and paint-related energy recovery in terms of volume, infrastructure, and cost? Ideally, the pilot program will increase the volume of leftover paint collected from consumers; this question focuses on what happens to that paint after transportation from the collection site and if there is sufficient capacity between the management methods to handle this volume of paint. Additionally the question will answer whether the pilot program increased or decreased the cost of those activities and why this is the case. Hi, I’m Scott Cassel of the Product Stewardship Institute. For the past decade the paint industry and governmental bodies have been discussing the proper course for the management of post-consumer paint with the preferred approach being product stewardship. This dialogue culminated in 2009 with Oregon enacting legislation that allowed for the creation the nation’s first producer-managed system for the management of leftover paint. The law calls for a paint stewardship organization to establish an environmentally sound and cost-effective management program, which collects, transports, and manages leftover paint and also implements strategies to reduce the volume of and promote reuse of leftover paint. In a product stewardship system, all participants—manufacturers, retailers, government officials, and consumers—involved in the life cycle of a product share responsibility for reducing negative impacts to human health and the environment that result from the production, use, and end-of-life management of a product. How cost effective is the program? Stakeholders are interested in understanding if a coordinated leftover paint management system is able to achieve its environmental and social goals at a cost less than the management system previously in place. 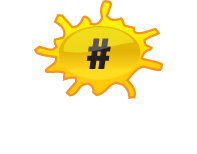 Based on the Oregon experience, what implementation and outcome-related information is required for other states to develop and implement leftover paint management systems? The question focuses on the aspects of the pilot program that are transferable to other states planning their own paint stewardship programs. Subtopics of the question will also ask how transferable the evaluation approach is, and what are the best ways to communicate the results of the evaluation. To what degree was the pilot program, from planning to implementation, a collaborative process? The paint product stewardship initiative strived to encourage participation by a variety of stakeholders throughout the process. This question assesses the collaborative process from the perspectives of those various stakeholders and the effectiveness of the process in terms of program implementation. 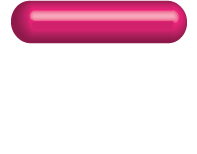 Pink - flow of virgin or new paint from the producers to retailers where it is sold to consumers. Purple - flow of information about the pilot program and the management of leftover paint from PaintCare to the paint market. 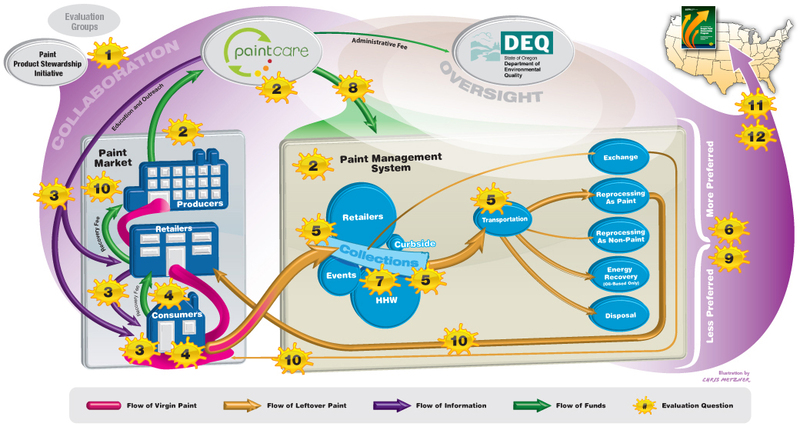 Blue ovals represent key steps in the paint management system. Proper paint management, including consumer recycling and reuse, are goals of the pilot program. Orange splatters represent evaluation questions focused on the program’s impact on achieving this goal. Yellow - flow of leftover paint from consumer home painting projects to the paint management system and potentially back into the paint market as recycled paint. Green – flow of funds from consumers (recovery fee paid when purchasing paint) into the paint management system. Reducing the cost of managing paint is a goal of the pilot program. Red splatters indicate evaluation questions that will help determine if the program reduced costs. One of the six goals established by the PPSI for the paint pilot program was to measure and evaluate the program's performance, and ensure the results and learning that the evaluation generates are transferable and relevant to the rollout of a national post-consumer paint management system. Hi, I’m Scott Cassel of the Product Stewardship Institute. 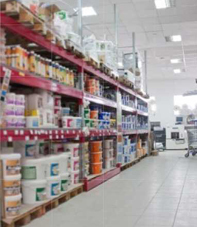 For the past decade the paint industry and governmental bodies have been discussing the proper course for the management of post-consumer paint with the preferred approach being product stewardship. This dialogue culminated in 2009 with Oregon enacting legislation that allowed for the creation the nation’s first producer-managed system for the management of leftover paint. The law calls for a paint stewardship organization to establish an environmentally sound and cost-effective management program, which collects, transports, and manages leftover paint and also implements strategies to reduce the volume of and promote reuse of leftover paint. In a product stewardship system, all participants—manufacturers, retailers, government officials, and consumers—involved in the life cycle of a product share responsibility for reducing negative impacts to human health and the environment that result from the production, use, and end-of-life management of a product. Since December 2003, the Product Stewardship Institute (PSI) has facilitated a national dialogue aimed at reducing the generation of leftover paint, while increasing reuse and recycling opportunities. With the avid support of over 200 dialogue participants, these discussions resulted in an historic agreement mediated by PSI in October 2007 among paint manufacturers, government agencies, paint recyclers, painting contractors, and other participants. The agreement calls for the establishment of an industry-funded Paint Stewardship Organization that will collect and manage leftover paint using a pass-through cost to consumers. The agreement also commits stakeholders to conduct a Demonstration Project in an initial state, with the full program to be rolled out to additional states following an evaluation period. If you would like to comment or make suggestions related to the paint program, please visit us on facebook and join the conversation! 1 PaintCare Awareness Study A powerpoint presentation of the PaintCare Awareness Study. 2 Awareness Survey Response A memo summarizing PaintCare and Bradshaw's response to the Committee's recommendations. 3 PaintCare Awareness Survey of Oregon Homeowners - Report The results of the August 2010 PaintCare Awareness Survey of Oregon Homeowners. 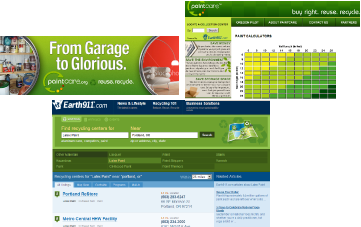 4 PaintCare Awareness Survey of Oregon Homeowners - Results The data collected from the August 2010 PaintCare Awareness Survey of Oregon Homeowners. 5 PaintCare Awareness Survey of Oregon Residents The results of the July 2011 PaintCare Awareness Survey of Oregon Residents. 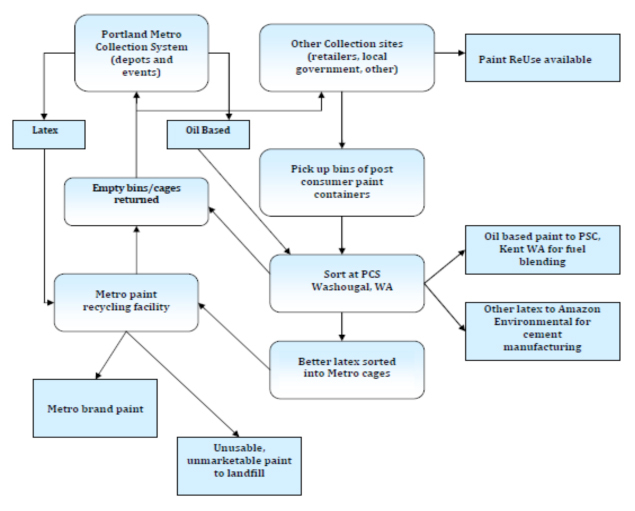 6 Method for Evaluating the Paint Product Stewardship Initiative’s Oregon Pilot Program The latest draft version of the evaluation methodology document. 7 Integrating Evaluation into Program Design A paper on integrating evaluation into design of a project. 8 Integrating Evaluation into The Oregon Pilot Program A one page fact sheet that condenses key points from the full paper on integrating evaluation. 9 Importance of Collecting Baseline Data for the Oregon Paint Stewardship Program A memo describing the importance of collecting baseline data. 10 Oregon Paint Pilot and Environmental Impact A memo summarizing issues of measuring environmental impact related to the OR pilot project. 11 Leftover Paint Oregon Pilot Project Evaluation: Prioritizing Evaluation Questions A memo describing how the Committee prioritized the evaluation questions. 12 Suggestions for Survey Sampling and Implementation A memo describing the Evaluation Committee's recommendations for improving the draft Bradshaw survey instrument. 14 Integrating Evaluation into the Design of the Minnesota Demonstration Project 2008 A powerpoint presentation discussing evaluation and design in the context of the MN project. 15 Introduction to Evaluating the Minnesota Demonstration Program 2007 A powerpoint presentation providing an introduction to evaluation in the context of the MN project. 16 The Measurement and Evaluation of the PPSI Oregon Pilot Program 2009 A powerpoint presentation discussing measurement and evaluation in the context of the OR Pilot project. 17 Data Visualization and Convenience Analysis of the Oregon Paint Management Pilot Program Hedrick Strickland's master's project proposal addressing the convenience of the OR Pilot program through data visualization. 18 Convenience Analysis of the Oregon Paint Management Pilot Program A powerpoint presentation by Hedrick Strickland discussing her master’s thesis regarding the location convenience of the OR Pilot program collection facilities. 19 Oregon Paint Stewardship Pilot Program – Interactive Figure Draft text, audio, or video scripts for figure components The draft text of the pop-up boxes for the interactive figure, organized by diagram component. 20 Graphic from the Iowa Department of Natural Resources Describes the flow of paint and funds. A powerpoint presentation PDF by Duke University graduate students discussing the assessment of collaboration of the OR Pilot program. 22 Assessment of Collaboration of the Paint Product Stewardship Initiative (PPSI) and Pilot Program Duke University graduate student’s final report on collaboration. 23 Interim Briefing 12-14-10 Handout for Evaluation Committee Call, December 2010. 24 OR Paint Pilot Project Evaluation Interim Briefing Call Recording Recording of December 2010 Evaluation Committee phone call. 25 Description of the Oregon Pilot Program Paint Stewardship Organization Final report from the Georgia State University graduate students regarding the description of the OR Pilot program. 32 PPSI Evaluation Committee Webinar 09-22-11 Recording of the Evaluation Team's presentation of its evaluation of the OR pilot program.